In a recent era in which rebellious & obviously mad filmmakers actually give great roles & lines to actresses, making films about women instead of just slightly featuring them as beautiful side projects, Carol takes the cake. And nowhere is this more exemplified than in the film’s hunt for Academy Awards. 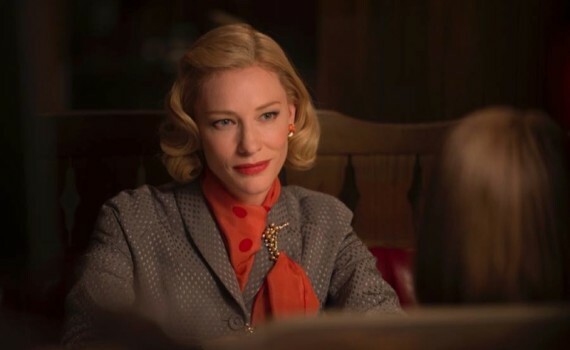 Which character is the lead role and so eligible for a Best Actress nomination, Carol or Therese? And which is the secondary actress and so in the running for Best Supporting, Blanchett or Mara? A strong case can be made for Rooney Mara as the lead, since the story is hers, though the title belongs to her counterpart. The Academy will have to decide, and we’ll see if they’re influenced by the Golden Globes. But the point to catch here is this; that the Academy will have to decide, since both actresses will be deserving of Oscar nominations for their stellar work in this film, a movie that features but never exploits the women of its plot, a trend that we will hopefully see continued in perpetuum. Therese Belivet is, in many ways, a typical woman of the 1950s. Young & single, she has the semblance of modern freedom; a job in the city, her own apartment, photography as a hobby. But the traditions of the past still cling to her in many uncomfortable ways; a clueless boyfriend who sees marriage as a given, a boys’ club of friends who let her tag along to drink beer, but then crack jokes about those dang dames as if she can’t hear them. A woman who represents the transitional period America endured between the 40s and the 60s, Therese is a ball being kicked toward an ultimate goal that others have chosen. Until she meets Carol. 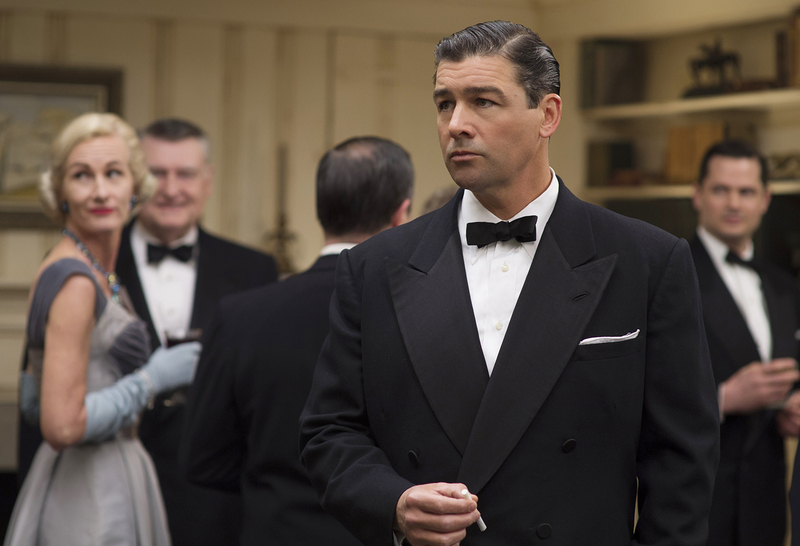 Mrs. Carol Aird is a wealthy New Jersey housewife whose respectable world controls her in as much the same way Therese’s does, deciding on her behalf before she even has the chance to object. But for both women, and quite unexpectedly, it is all about to change. Leaving their tired lives behind them, the new friends embark on a journey together that will end in a tragic Shakespearean love affair, but one touched with modern grace. With a near-perfect love story, Carol shines as an effortless attempt to tell a tale. Not to make a statement, not to shock, but to tell a tale of love in a time when that particular emotion from these particular characters was unacceptable. This film is a beautiful, modern, artistic, adult masterpiece that gives it to us straight, without embellishing the point. It offers us a look into a period we know well but told from a perspective we’ve never considered before, coming to us smoothly in both cinematic fashion and graceful storytelling. The mood of the movie is pure 50s, Christmas in New York, sure thing kid, in a flash, that whole guileless era in which America was a beacon of possibility. And yet Therese & Carol can’t find their places, with this juxtaposition serving as just another way to showcase the imperfection of what we so often call the best of times. In 2002, director Todd Haynes attempted a very similar plot outline in Far from Heaven, starring Julianne Moore; the 50s, wealthy living, homosexuality, the taboos of the times. But while that film hit the mark for some, it wasn’t the statement that Carol is now, rather a first attempt at delivering a story that took until now to successfully complete. Perhaps he just needed the right cast, which he received here. Mara was a perfect, innocent, wide-eyed Therese, confused by her lack of place in the world, wondering why normalcy didn’t feel right. Blanchett was equally wonderful as Carol, the confident woman with cracks in her armor, the wife in a ticky-tacky box who can’t take it any longer. And the side characters were stunning as well: Chandler, Jake Lacy, Sarah Paulson. Top it off with a musical theme that will be stuck in your head for days and you’ve got a film that should be well represented at the Oscars. Best Picture, Best Actress, Best Supporting, Best Song; Carol deserves every bit of buzz it gets and is one of the hands-down strongest of the year.